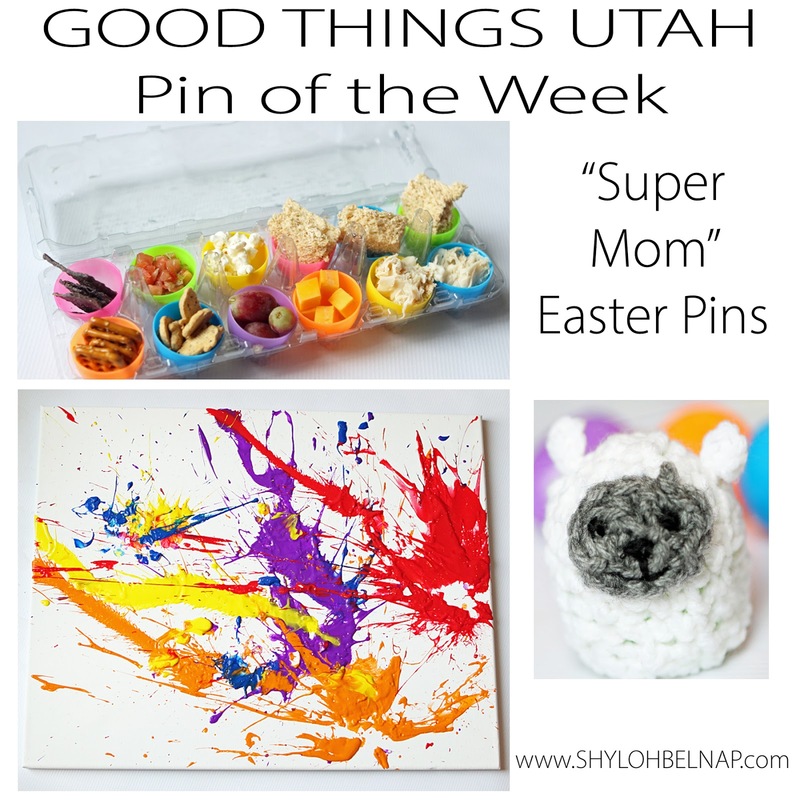 The holidays are a great time to amp up the "super mom" skills and really try to be creative. I picked 3 pins I have seen quite a bit. I wanted to see just how realistic they are! This is super easy to do. 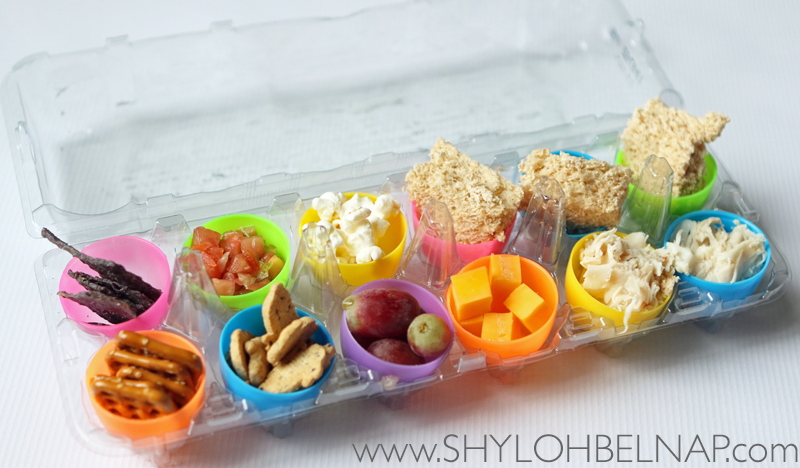 If you are a regular super mom… I would definitely suggest you do it! Don’t forget to wash out the eggs first. 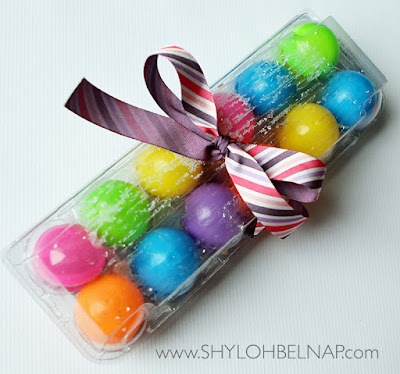 I wrapped a bow around the egg carton to keep it shut. I thought it added a cute touch! But, when I offered it to my 11-year-old son, he looked at me like I was playing a joke on him. I think this would be a great pin for a preschooler! I got this idea from the original pin but cut out quite a few steps (because, well, I am NOT that “Super” of a mom). 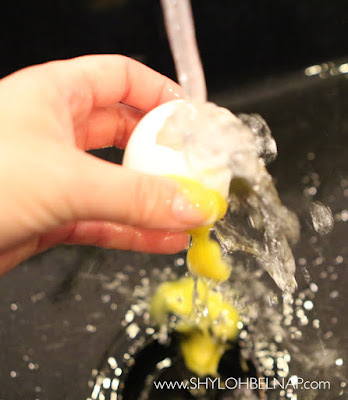 Here are a few tips: Use a butter knife to crack the top of the egg. Make sure to hold the egg in your hand when you do it. If you have it on the counter you will crack the opposite end too (oops)! I know you could take the effort to drain these in a bowl and use them to eat. I started that idea too. Then, the egg shells, the mess, the time… I just couldn’t do it! So, I ran the egg under water. The water forced the yoke right out and it was nice and quick. 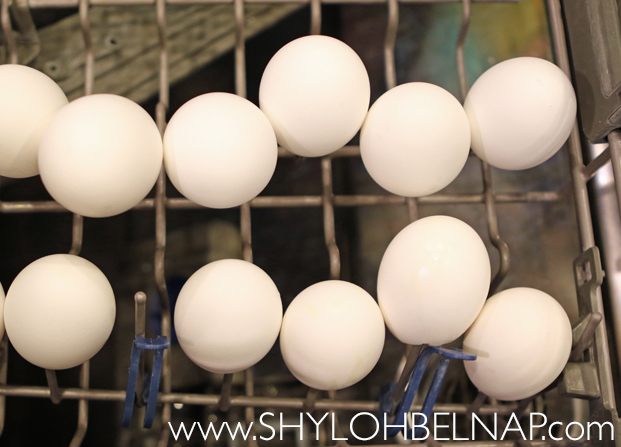 2) Let the eggs dry a bit. I dried mine in the dishwasher, upside down. Worked like a charm! 3) Fill your eggs with WASHABLE paint. 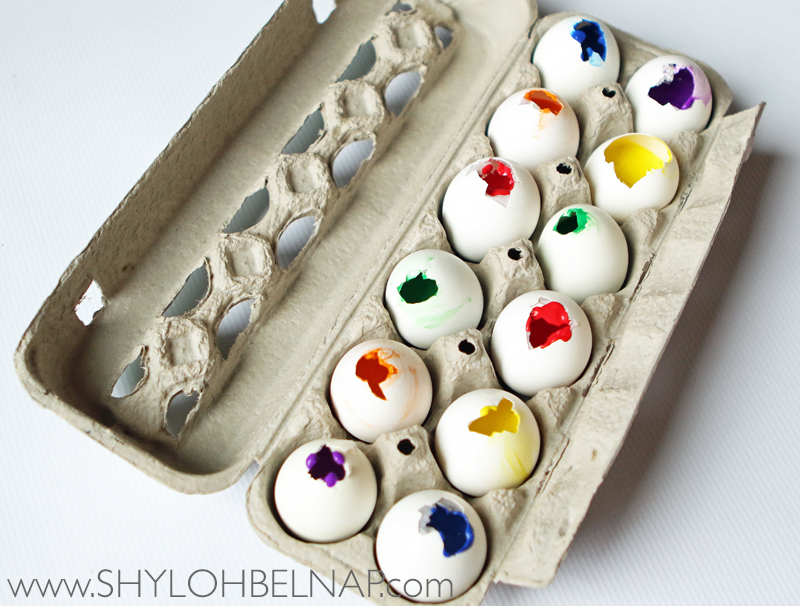 I bought Crayola Washable paints and filled each egg about 1/2 full. 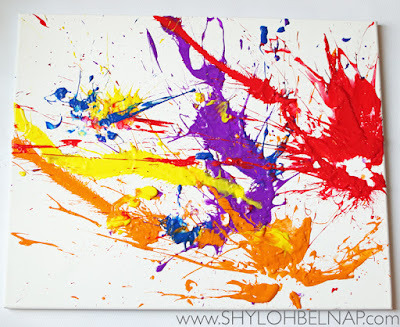 4) Chuck your eggs onto the canvas. I didn’t do the steps of wrapping them in the tissue paper… way too lazy for that! It worked just fine with the open top! My picture was just 6 eggs. You do have to throw them with a bit of force. Don’t be shy! If you want more paint, you can adjust the amount of eggs you use! I did mine on the ground. I didn’t want there to be paint flying too far all over my yard. You can prop yours up on an easel if you are brave! I was THE MOST excited about this pin. I think that these covers are nostalgic for me because my Nana used to make them. Hard as I tried… and after 2 hours for ONE simple cover… I will have to say that the talent to make these must be a gift. I can’t call this a Pinterest fail because I have seen them be done. 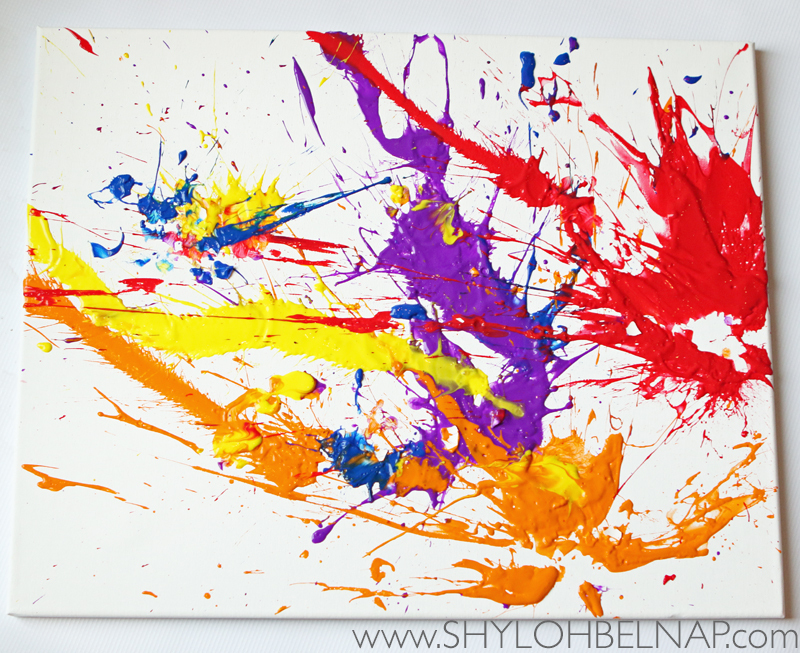 But, I can definitely call it a Shyloh fail for sure. 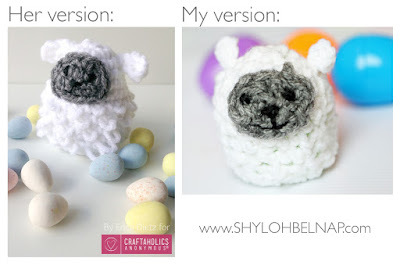 I wouldn’t be a first time crocheter (my own word) and buy a bunch of yarn to make these for your kids classroom (like I might have done). 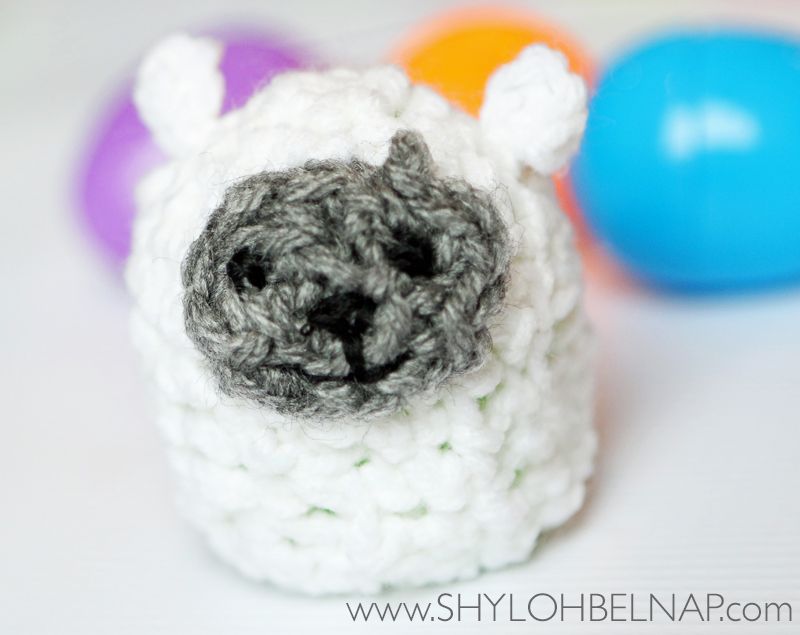 I tried SO HARD to get the cute loops for my lamb, it was just not happening. All I can say, is if someone has made this for you… KEEP IT, APPRECIATE IT, and give them the BIGGEST HUG for their talented gift. If you would like instructions, I would go to the original pin. They really are great and she has a darling bunny and duck on there as well. Good luck, if you succeed please send me a picture! I will come back to this place, its huge and open, and have really tall ceilings. Wait staff was also pretty good. Bartender was awesome and personable. I was really pleased with my party at event space here. Ha! I highly recommend these guys.